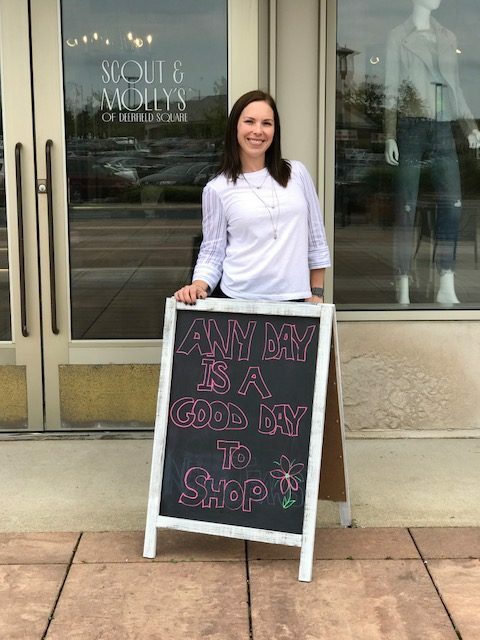 Here at Scout & Molly’s of Deerfield Square, our team of knowledgeable fashion experts are here to provide you with a personalized shopping experience that is sure to have you feeling confident and beautiful. Our personal stylists will work with you to make sure you find the clothes that’ll ensure you turn heads and make a lasting impression wherever you go. It is our mission to make sure that each of our customers are met by personal stylists who are trained to provide the kindness, respect, and honesty you deserve. 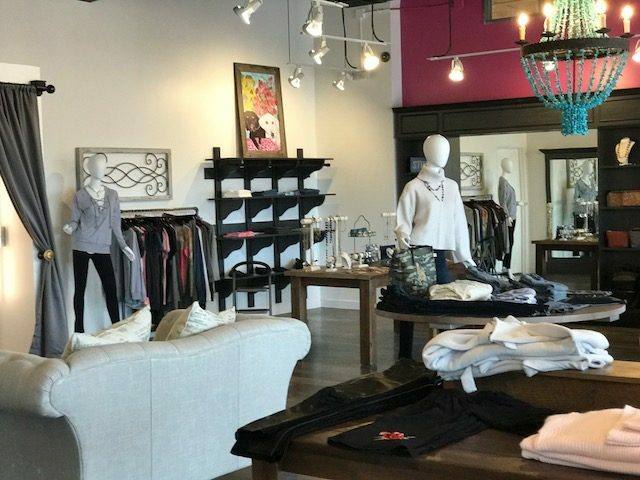 When you visit Scout & Molly’s of Deerfield Square you can rest assured that you’ll get custom fashion tips and advice tailored specifically to you. It’s like shopping in your friend’s closet while being accompanied by your own personal stylist! Our location at The Shops at Deerfield Square is a short drive away from the Briarwood, Northmoor, and Ravinia Green Country Clubs and sits directly across the road from Jewett Park at the corner of Deerfield and Waukegan Roads. The surrounding area features an abundance of golf courses, is less than 30 minutes away from Lake Michigan, and is home to all sorts of fun recreational activities in the warmer months. Get on I-190 E. Take I294 N to Deerfield Rd in West Deerfield Township. Take exit 24 from I-294 N for 14.8 miles. Follow Deerfield Rd to Deerfield Square. Get on I-294 N from Miner St, Rand Rd and Bender Rd. Follow I-294 N to Deerfield Rd in West Deerfield Township. Take exit 24 from I-294 N. Follow Deerfield Rd to the shopping center.